How to Enjoy iTunes Videos on HTC One M8? Last year's HTC One won rave reviews and obsessed fans. Can the company top its own success in 2014 with the bigger, beefier One M8? Yes, it could happen. The One M8 is undeniably the most impressive handset the company has ever minted. Like its predecessor, the M8 brings a refined and beautiful software and speedy performance, all wrapped in a lithe and eye-catching aluminum skin. 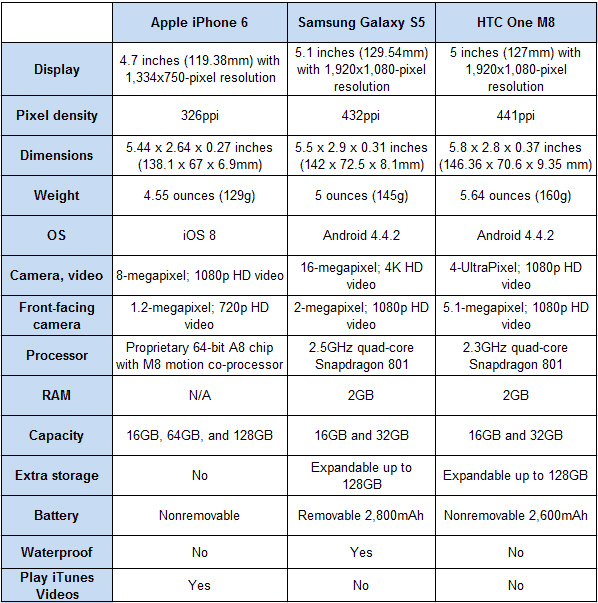 Though it shows marked improvements from its predecessor, the HTC One M8 faces stiff competition from iPhone 6 and Samsung Galaxy S5. 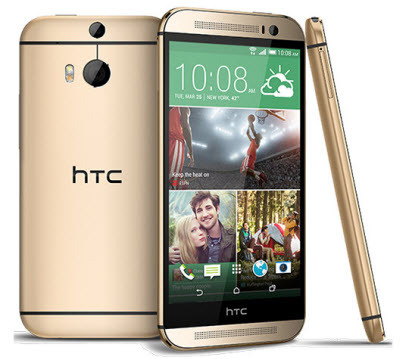 Aesthetically speaking, the HTC One M8 runs rings around the iPhone 6 and Galaxy S5 with its elegant and intuitive Sense interface. It runs on a powerful quad-core processor and Android KitKat. The stereo speakers deliver excellent sound, and the depth-sensing camera brings a ton of useful features. But compared with Samsung Galaxy S5, the HTC One M8’s battery is not user-removable and its sealed chassis is not water-resistant. When comparing with iPhone 6, the HTC One M8 cannot play iTunes videos due to the Apple FairPlay. As we all know, iTunes offer a largest number of HD movies, TV Shows and music videos for sale. It is inevitable to buy videos from iTunes Store. But people cannot watch iTunes videos on HTC One M8 freely. Thus, enjoying iTunes videos freely is required for better competing with iPhone 6. How to Bypass DRM from iTunes Videos for Playback on HTC One M8? To play iTunes videos on HTC One M8, we should unlock DRM limitation from iTunes videos first. 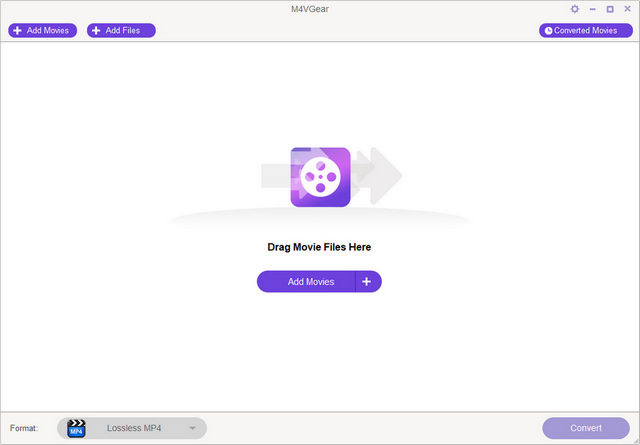 M4VGear DRM Media Converter helps to remove DRM protection from iTunes videos and convert them to unprotected MP4 format supported by HTC One M8. Note: The trial version of M4VGear has 1 minute conversion limit, which means you can convert one minute of the video before you decide to purchase it. You can purchase the full version to unlock the time limitation. 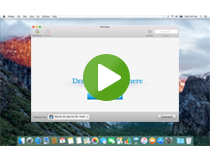 Double click to launch the program, and click the "Add Movies" button to import iTunes videos. If you fail to add iTunes videos in this way, please find the video file on your disk and directly drag it to M4VGear interface. What is worth mentioning is that M4VGear support batch conversion, which means you can add several iTunes videos simultaneously. Click the "Convert" button in the lower right corner to start conversion. With M4VGear DRM Media Converter, you can losslessly convert iTunes videos at 20X faster speed with Dolby 5.1 Audio Track kept. Find the output MP4 video files by clicking the "History" button in the upper right corner and transfer the videos to HTC One M8 for enjoying. Purchase the full version to unlock the 1 minute limitation with price $44.95 ($49.95)! Learn more about iPhone 6, Samsung Galaxy S5 and HTC One M8.